One of the most basic things to understand about asbestos-related diseases is what causes them. That cause is almost always through the inhalation of ingestion of asbestos. Specifically, of tiny — even microscopic — asbestos fibers. In the videos below, we’re going to share how an asbestos fiber can go from an asbestos product to the air and to the body. Once lauded for its versatility and heat-resistance properties, friable asbestos has now been linked to asbestos-related cancers, such as mesothelioma. Many blue-collar workers and U.S. Navy personnel were exposed to asbestos while on the job or in the service. “We all know that asbestos is toxic, but many people wonder how asbestos harms the human body. 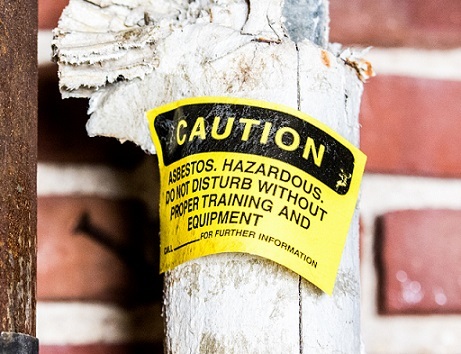 The truth is, scientists are still trying to figure out exactly how asbestos causes harm — but researchers do have several theories, and all involve heavy exposure that leads to genetic damage. Asbestos fibers can become airborne and be inhaled or ingested by unsuspecting workers on the job. Job sites that had a high risk of asbestos exposure were shipyards, schools, power plants, metal works, chemical plants, and oil refineries – among many others. In this video we speak to what happens once you have inhaled or ingested the asbestos fiber and it is in your body. We show the possible paths the fibers could take and what happens as a result. Please keep in mind that the size of the fiber in the video is not true to size, they have been enlarged for the visual purposes of this video. Next we discuss the biological reaction that occurs when asbestos fibers are lodged in the lungs. The body tries to fight it off naturally but if it fails, the pictured chain of events occurs. Please keep in mind that the size of the asbestos fibers are not true to size, they have been enlarged for the visual purposes of this video. Lastly we discuss how the genetic damage caused be asbestos fibers lodging in the lungs can change human DNA and lead to mesothelioma cancer. The only way to prevent this is to avoid any asbestos exposure at all. “This genetic damage can change human DNA in ways that cause cells to divide uncontrollably. Instead of dying a natural cell death, these cells continue to replicate and eventually form tumors in the lung or lining of the lung.